BOOK OF HOURS -Leaf on vellum from a Dutch manuscript Book of Hours. BOOK OF HOURS - Leaf on vellum from a Dutch manuscript Book of Hours. 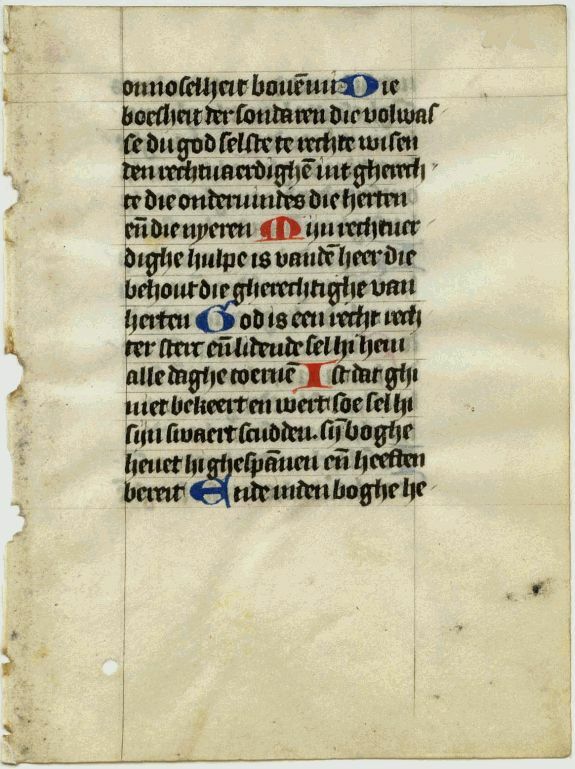 Title : Leaf on vellum from a Dutch manuscript Book of Hours.. Size : 5.0 x 3.7 inches. / 12.7 x 9.5 cm. Description :The text is from the Book of Hours translated into Dutch, probably by Geert Grote, most Books of Hours were in Latin at that time, but Grote thought that even lay men should be able to read religious books!! The text is in black with the rubrics in red.